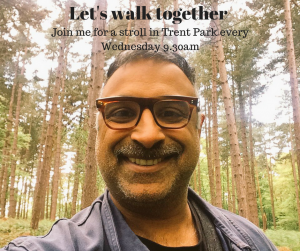 Who wants to join me for a weekly Wednesday wander around Trent Park? Do you ever think about going for a walk, but the thought of going alone doesn’t appeal? I’m sitting at my desk looking out at the sunlight on the tree-tops in Trent Country Park – a beautiful gift of a park with horses, forests and lots of space in which to lose yourself – and thinking that I’ve hardly been out of the house this week. This isn’t an unusual occurrence. My osteopathic practice is at home and I’m in the first year of an MSc in Pain Management. If I’m not careful I could spend most days at home, working and studying, and not moving nearly as much as I need to. Gentlemen, are you bravely soldiering on with an everyday, sports or work-related muscle or joint injury? 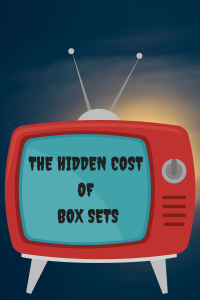 You may not realise that this strategy could be costing you more in the long term. 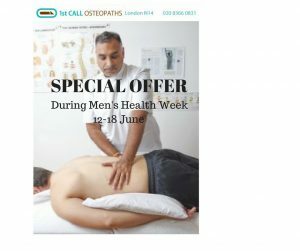 Men booking during Men’s Health Week – get 15% off first and follow-up appointments. We osteopaths notice that men tend to put up with a lot of things, like aches and pains and especially bad backs, and they tend not to do anything until their partners get so fed-up with hearing about it and book an appointment for them. The problem with this is that, firstly, aches and pains tend to get harder to treat the longer you have them and, secondly, that, as good as your body is at compensating for a problem, it can eventually reach a limit and shore up bigger problems for the future. So, what’s stopping you from getting treatment? Maybe you think you need to be stoical and not ask for help because it will “sort itself out”. If it’s a pain that you’ve had for a while and really aren’t sure what to do about it, maybe your body just needs an expert hand to guide it towards the right direction. 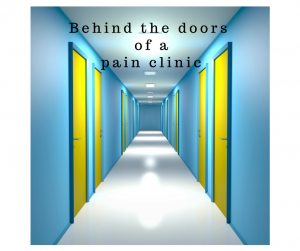 Behind the doors of a pain clinic. My afternoon at a pain clinic. Some of our patients attend pain management centres, but it wasn’t until last Friday that a friend of mine invited me to the Friends & Family Group Meeting at INPUT Pain Management, which is part of St.Thomas’ Hospital, opposite the Houses of Parliament. My friend is a chronic pain sufferer coming to the end of the second week of a 4-week residential course there. She had a hunch that I might be interested in coming along, as I am studying for an MSc in the Management of Chonic Pain and Headache Disorders. Well, she was right. This type of pain management centre represents the most up-to-date, evidence-based format for treating people with chronic pain of all types. It helps with not just the biological aspects of persistent pain, but also, and arguably more importantly, the psychological and social dimensions. This is known in the trade as the “biopsychosocial approach” to chronic pain management. Briefly, many good studies show that pain, which is the body’s way of alerting us to an actual or potential threat, is complex and very particular to each person. In addition, the negative effect that persistent pain has on our relationships, our poor psychological state, together with a faulty belief that how much pain we’re in is an indication of the amount damage, can actually make our nervous system acutely alert to even the smallest threat – like a very sensitive car alarm that is set off by a falling leaf. Current evidence shows that this approach to dealing with persistent pain is superior to the spiral of pain-killing medication, which is only effective up-to-a point, and which requires frequent trips to the G.P. and other specialists for medication reviews and further tests and investigations. The idea is that with pain education and psychological tools, sufferers can play an active role in reducing the negative effects that pain has on their life. This is far better than medication alone. What it does not do is perpetuate the false hope that there is a therapy or scan or drug that will take the pain away permanently. I imagine that accepting this crucial point is the biggest hurdle. There were about 10 participants on the programme, 9 of whom were women, all suffering with persistent pain. A physiotherapist and an occupational therapist lead the group discussion, and I was struck by how seamlessly they wove their messages and learning points in to the exercises. Even the ice-breaker was an opportunity to learn. For this we had to pair up and tell another group member two facts about ourselves – one true and the other a lie. Our partner then had to uncover the lie by interrogation. The point about this was to teach us how much harder it is to present a “false face” to the outside world, in other words, constantly telling people that you feel OK when you don’t. It takes more energy to keep this falsely optimistic mask up than to interact with people in an authentic way. My lie (that I was born in Uganda, of all places) went undetected – what does that say about me, I wonder? Then the physiotherapist took us through an exercise which involved holding a finger in front of our face. We then had to focus our attention on this finger. She then asked us to notice what the background looked like – blurred, we all murmured. Next, she asked us to change our focus to the other things that were in the room and asked us what the finger looked like – again, we all agreed that the finger now looked blurred. We then discussed how, if the finger represented pain, and if all we ever thought about, or “ruminated” on, was our pain, then this made this feeling stand out even more. This would also be at the exclusion of everything else. Making an effort to notice the world around us (also known as “being present”) could make the pain fade into the background more. Try the exercise yourself, it really works! Next, we were asked to play a game where each person in the group took a turn to make a particular movement. Everyone else was then encouraged to follow this person’s movements. We were then asked to take note of how we copied the movements – whether exactly, which leg or arm we moved first, to what degree. After most people had the chance to be copied, we then discussed the importance of being mindful about everything we do and also to judge for ourselves what our personal limits are with any activity. This introduced us to the concept of “pacing”. So, we don’t have to do any activity at someone else’s pace or rate, it’s important to choose a way of doing things that we’re comfortable with. Finally, the occupational therapist gave us a Post-It note and asked us to write down one thing that we wanted to achieve this year. He then asked us to write down all the barriers to achieving this goal. We then paired up to discuss what we had written and to be encouraged by our partners to come up with some ways of overcoming these obstacles and achieving our goal. This concept of “goal setting” is important because we learn that we don’t have to limit ourselves, and that by considering our goals and evaluating the obstacles we can then plan to achieve them – whether it’s riding a horse twice a week, walking for half an hour a day or swimming for 10 minutes at a time. Phew! Quite a lot in a 90-minutes. The participants had clearly built up a good rapport with one another, so much so that afterwards one of them told me that she felt so upset, that she had to leave the friends and family session, because she felt that the tight-knit group had been invaded. I quite understood, because to be able to share their experiences with other people living with persistent pain, to spend productive time on themselves and not feel like they were being a burden on their carers, family or friends, and to learn so many active and sustainable skills that they can practise over an extended period must be a very powerful and life-changing experience. There are a number of residential pain management centres in the UK, however demand is very high. This, of course, means that the patients have to wait for up to a year for a place which, studies show, leads to poorer outcomes in the treatment of persistent pain. It’s a shame that because of the current 1-year waiting list for INPUT at St. Thomas’, they have just had to cut the residential programme to 3 weeks, instead of the usual 4, giving less opportunity for participants to practice what they have learnt under the guidance of the skilled pain management therapists. It will be interesting to see whether this truncated programme is as effective at helping sufferers manage their pain better. My friend said that since being on the course she has felt completely exhausted at home at the weekends, and that she even begun to feel more pain than when she had started the course, probably because she was she was asking a lot more of herself. However, she felt hopeful that, over time and with practise, she would be able to use these new concepts and techniques to feel more in control of her symptoms and have a better quality of life, despite the pain. These types of pain management centres have been shown, over the longer-term, to reduce over-reliance on medication and lead to fewer G.P., specialist and hospital visits. However, in the short-term, politics and the need to balance NHS budgets means that this type of care is in shorter supply than it ought to be, given the overwhelming evidence to support it. It would be great to hear from anyone who has had experience of this type of pain management centre. Has it helped in the long term? Feel free to leave a comment below. Find out why you groan when you stand or sit. Have you started to groan when you stand up or sit down? Have you started to let out a grunt or groan when you stand up or sit down? A patient came in to see me this week and was wondering why he’d started to groan every time he stood up or sat down. He was about to turn 40. 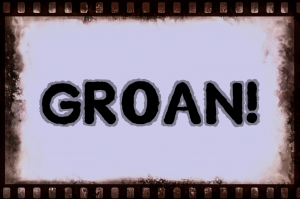 “Activity groan” is one of those things that can betray you. It creeps up on you (like grey hair) and before you know it, BOOM! You can’t take your body for granted any more and everyone thinks you’re much older than you actually are. 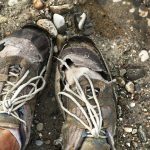 It’s often not the challenging things – walking up hills or running for a bus – that you start to dread. It’s finding it a bit more of an effort to do everyday things like getting up off the sofa, picking up something from the floor, or clipping toenails that gradually make us feel older than we are. Getting older doesn’t have to mean feeling older. You may accept that this is just part and parcel of getting older, after all it happened to your parents and their parents before them, but, have you ever thought that it could just be because you’ve spent years not moving your body enough and in the right way? Your back is made up of many little joints, ribs, muscles and ligaments. They all need to work together like a finely tuned engine, and when they do it can make you feel younger and more flexible. Whatever your age, you always have the capacity to move more freely and do the simple things in life without the added sound effects. Osteopaths are very experienced and well-trained in improving the way your body moves. We always take a 360° view of your complaint, taking into account the body and how it adapts to the various stress factors in your life. We can then set you off in the right direction with a personalised treatment plan, good advice and a few, well-chosen exercises. If you, or someone you know, suffers from activity groan, call us and find out how we can help. NEWS! Excited to be launching new app for our patients. As part of our commitment to continually improving services for our loyal osteopathic patients, we are excited to be soon introducing the new PROM app. at 1st Call Osteopaths. This innovative and simple-to-use app will allow patients to give instant feedback to the osteopathic profession as a whole on their experience and how their symptoms are progressing at various points along their treatment. The data gathered will then be used to inform future services, how we market the profession and, we hope, make our patients feel even more involved in their care. This means that if you’re new to the practice or if you come to us with a new symptom, we will ask you if you would be willing to let us have your valuable feedback. Participation is entirely voluntary and any information will be treated confidentially. ‘I’ve suffered from tension headaches for at least 15 years and got used to them as a normal part of my day. After mentioning it to Vinod, he performed a specific treatment to relieve the headaches and told me that I would notice an improvement quite quickly. I was a little sceptical as I’ve lived with them for so long but, true to his word, after one treatment session I noticed a significant difference! I no longer wake up with a headache every single day and if I do get one there’s usually a good reason why rather than, “just because”! 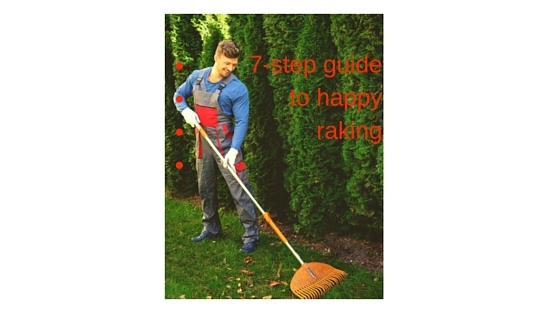 7-Step guide to happy raking. Every year thousands of patients will make an emergency visit to their osteopath after having spent the day clearing leaves from the garden and guttering. Usually, they will have been relatively inactive over the summer and wake up on a Saturday morning with a strong impulse to spend the whole day raking, sweeping, bagging and climbing ladders. Or as us manual therapists call it, repetitive twisting, bending, stooping, extending, lifting, climbing, reaching, balancing and carrying. All these movements will put your back under enormous strain at the best of times. Here’s our 7-step osteopath’s guide to preparing for this seasonal task and reducing the risk of spending the weeks afterwards in pain. WARM UP We know that muscles are cold, discs are more vulnerable to strain right after getting out of bed. So, start the day with some gentle movements and stretches to help reduce disc pressure before undertaking heavy work. Suggestions: a 10 minute walk, 10 star jumps. Going through the motions of what you’ll be doing first in your garden can be really useful. Dress warmly to start with, you can always peel off layers as you warm up. A similar routine after your exertions can help minimise muscle soreness. SIZE DOES MATTER. Use a rake that’s suitable for your height and strength. Rakes come in different shapes and sizes, so make sure you get one that’s comfortable and easy to use for your particular body type. PROTECT YOUR HANDS. A pair of sturdy gardening gloves will help prevent blisters and cuts and is easier on the joints of your fingers. LOOK AROUND Take a moment to plan what and how you are going to do things. Leaves can easily conceal rocks, branches, tree stumps, or uneven ground. Stay alert and familiarize yourself with your surroundings before you begin. YOU CAN’T HURRY LEAVES. Sweeping and raking require enormous co-ordination from practically all the muscles and joints in the body. Research into motion patterns suggests that muscular and joint strains are less likely to happen if your mind and your body are focussed on the same task. SWITCH IT UP! Most people will naturally keep their body in the same position, based on which is their dominant hand or foot. Maintaining this position over an extended period of time will cause “repetitive strain” to one side of the body (back, neck, shoulder, etc.). Changing your arm and foot position often will easily prevent stress and strain throughout the entire body. Always use your legs and core to shift your weight and move. This will avoid excessive use of your back. PREVENT SLIP AND SLIDE. If it’s wet leaves you’re dealing with, wear shoes with slip-resistant soles. Not only will the right shoes reduce your risk of falling, but they also minimize injury to your feet. That’s it! Keep safe and enjoy the autumn colours. Olympic Park, down-town Amsterdam, October 2004. Weather is damp and the sky an unending vista of grey. The 20mile training runs, the hill work, the sprints are done. The hours minimising injury and reducing niggles by enduring osteopathy and sports massage sessions are over. I’ve tapered well to make sure my glycogen stores are brimming. I’m feeling both excited and nervous on the start line. One refrain, however, rattles around in my adrenalin soaked brain – don’t go off too fast! We’re really proud of the fact that despite the difficult economy we have been able to increase the number of new referrals by personal recommendation. However, we know that we cannot afford to be complacent and that we need to keep moving forwards to improve standards of care for our patients. So what are our priorities for 2015 and beyond? We want to embark on a marketing and PR drive to get osteopathy better known within the local medical community in Barnet and Enfield. We want to try and create a hub for local osteopaths in North London so that patients (and us osteopaths) know what our particular areas of expertise are. We want to increase our knowledge base and skills by doing more clinical audits and research into our areas of interest. It feels as though we at First Call Osteopaths are embarking on an exciting new phase of growth and I’m really looking forward to sharing our ideas, insights and developments with you in this blog. With best wishes, Vinod Mahtani Founder and Principal Osteopath at First Call Osteopaths.